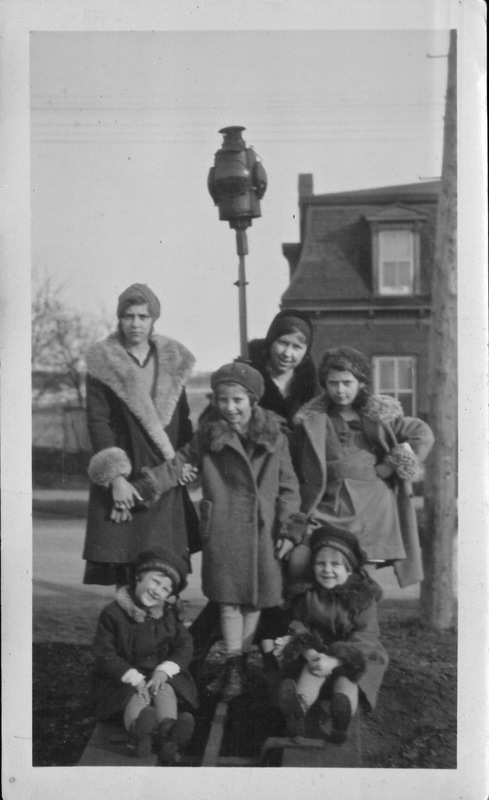 Growing up on Stephen and then Bagot Streets, the five Wallace sisters — Helen, Elsie, Jean, Isobel, and Betty — got a stylish start in life. Their great aunts Jennie and Annie Bourne lived on Balaclava Street at the top of Patrick, where they had a huge garden complete with beehives. One of the aunts was a dressmaker, and they made sure their nieces looked impeccable in used coats “cut down” and redesigned to perfection. In 1936, the girls moved with their parents to their grandparents’ house at 142 Patrick Street. “My grandmother died in ’35,” Isobel (Wallace) Gordon remembers, “and so in ’36 we moved up to be with my grandfather: my mother and father and five girls, and also two of my aunts lived there, and two of my uncles, so we had a big family, and we girls were up in the attic.” Their grandfather Robert Wallace, an immigrant from the Orkney Islands, was a stonecutter and owned the quarry that ran in behind the house and almost up to Stephen Street (he sold some of the land for the building of St. Patrick’s School in 1946). Robert Wallace was a contractor and builder too: for example, he is responsible for the beautiful Hydro building with the red brick arches at the corner of King and Queen Streets. And with his son Ronald, the girls’ father, he built Robert Meek School in 1920. Times were hard when Ronald died suddenly of a ruptured appendix in 1937, at the height of the Depression. 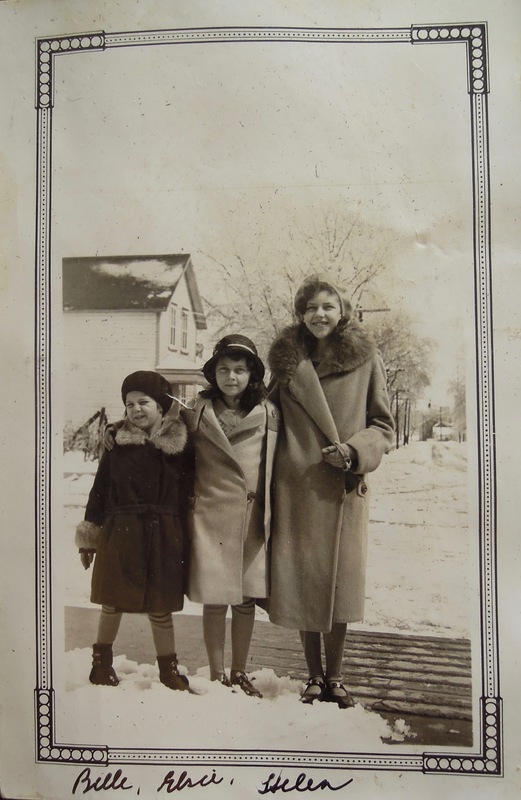 Helen went to work at Bennett’s Grocery, Elsie quit school and went to work at the Woollen Mill, and there was five dollars a month “Mother’s Allowance” for each of the three girls under 16. But life went on. During the war, the house full of girls on Patrick Street became a refuge for pilots from around the Commonwealth. “We sort of had open house for them,” Isobel remembers, “cooking them liver and onions, bacon and eggs.” One night a young man from the RAF orchestra made the girls swoon with his rendition of the song “Trees,” accompanying himself on the piano. On her 16th birthday, Isobel was allowed to go to her first dance, out at the airport. Elsie and Jean became engaged to navy flyers, making for considerable anxiety in the household until they returned safe and whisked their new wives home — to New Zealand! Nellie Wallace was lucky not to have to send any sons away to war, but she still found her family reconfigured at its end in ways she could never have imagined when it began. Warm thanks to Isobel Gordon for sharing her vivid recollections and photographs. thanx 4 the story laura. that was delightful and it makes this neighbourhood even more alive! What a lovely story. I went to St. Patrick’s school in the late 50’s/early 60’s . Great pictures and story, Auntie Belle you sure look super cute in that picture of the three of you. Thanks, Laura for interviewing Isobel and adding their story to your project. Isobel is my beloved aunt and Elsie was my mother. My Dad was one of the pilots from New Zealand! Thank you for this story, Laura. I am one of Elsie’s daughters. I’m so glad you connected with my Auntie Belle to record this family history. Well done to the architects of this oral history project. This particular family history puts a real face on what many families were facing during the depression; the bonds were strengthened through difficult times.